Self-driving cars have been at the forefront of people’s imaginations since episodes of the Jetson’s depicted a future capable of wielding such powerful technology. Since then, scientists have come a long way in developing the real-world technologies needed to accomplish such a futuristic feat. 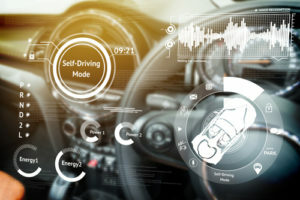 Self-driving cars have been in testing for a number of years now, but recent findings by researchers suggest that scientists still have a ways to go before launching this type of technology on a large scale. Experts looking into Uber’s self-driving technology have recently discovered that newer models have an even greater number of blind spots than earlier vehicles. According to their reports, Uber’s newest cars only have one sensor compared with other models that contain around seven. Reducing the number of sensors, scientists argue, introduces a blind spot that can’t detect pedestrians. After the recent fatal pedestrian strike, this news is extremely concerning. It’s still unclear whether this specific flaw in Uber’s vehicles contributed to the recent accident or not, but Uber has decided to internally review its sensors while investigators make a determination. If you have been injured in an automobile accident, then it’s important to seek out qualified and compassionate legal representation you can count on. The experts at Blume, Forte, Fried, Zerres, and Molinari are well-versed in the role newer autonomous features can play in contributing to a car accident, and we are prepared to answer any questions you may have about the process of pursuing a personal injury claim. To get started on your claim as soon as possible, contact our law firm at 973-635-5400.